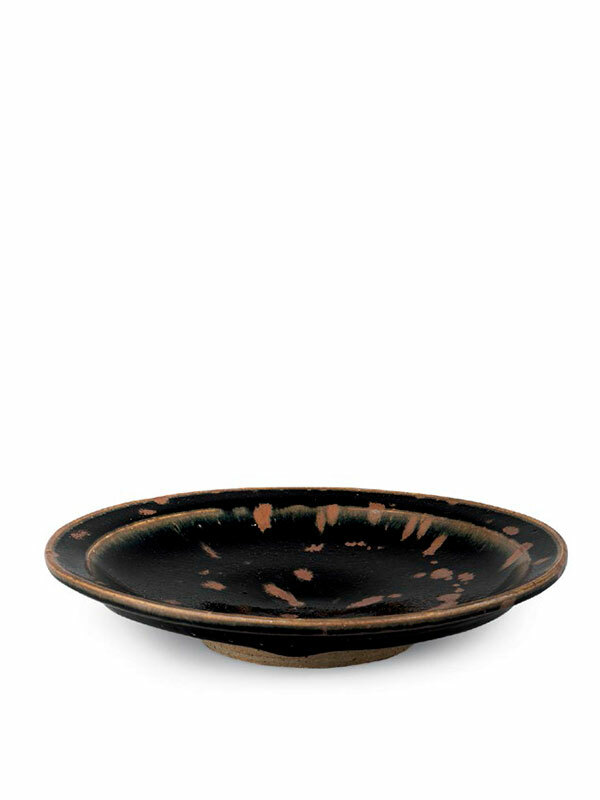 A circular stoneware dish of Cizhou type, supported on a short ring foot, the rounded sides with a flat everted rim. 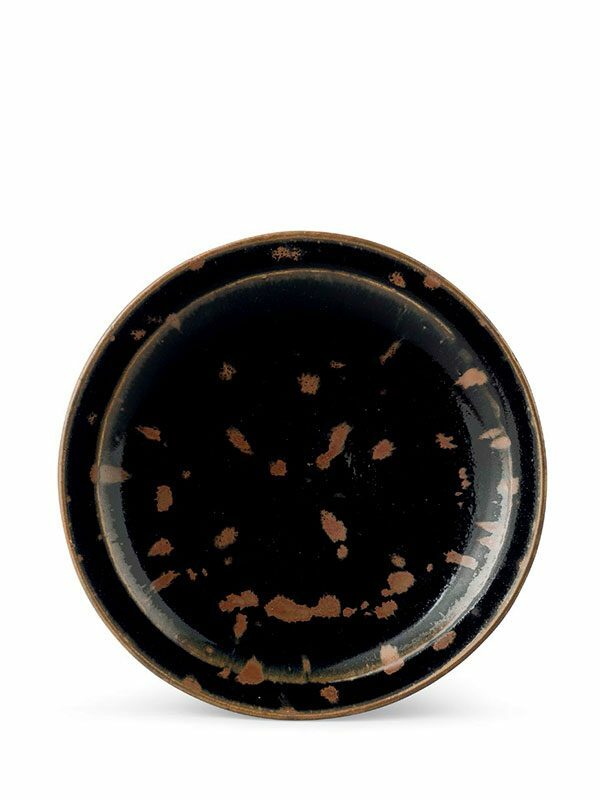 A thick glossy black glaze, suffused with evenly applied matt russet splashes that radiate out from the centre, covers the interior of the bowl. The glaze extends over the rim, stopping in an uneven line around the middle of the exterior. The unglazed foot shows the dense, fine-grained buff stoneware body.